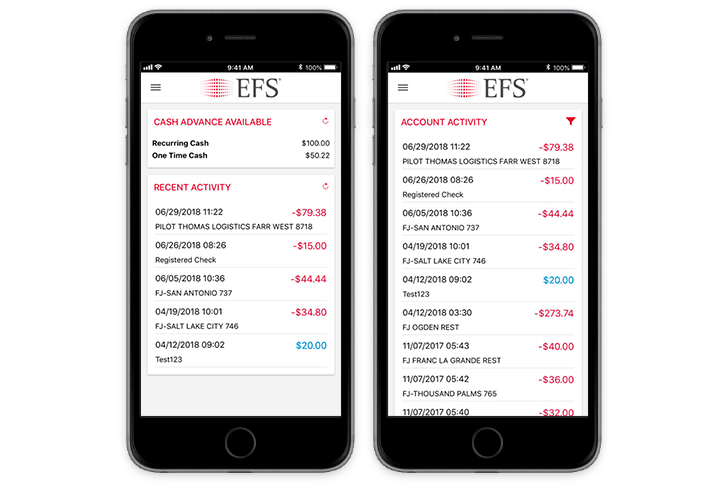 Over-the-Road Mobile Apps | Fuel Cards & Factoring | Fleet Management | WEX Inc.
EFS and Fleet One delivers on-the-go convenience with the ability to manage cards and funds remotely from any iPhone, iPad or Android device or smartphone. Keep tabs on your fleet cards and accounts, and find merchants who accept them. 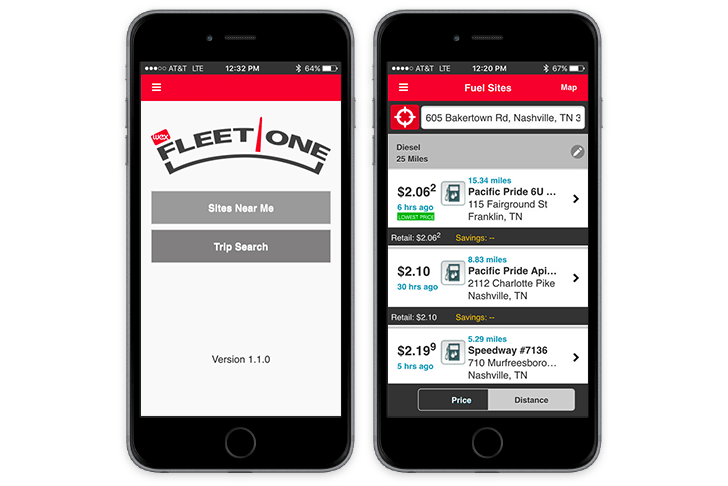 Fleet One EDGE Card customers can find accepting merchants, locate the lowest fuel prices along your route, and view negotiated vs. retail fuel prices by location. Manage cards and funds remotely for your over-the-road fleet using WEX EFS apps. Mobile Driver Source, CardControl, CarrierControl, Fleet One CardControl, and Fleet One CarrierControl put the power of your cards and accounts in your hand. EFS Card drivers have an easier way to weigh and pay via the Weigh My Truck mobile app from CAT Scale. Drivers can weigh and pay conveniently with their EFS Card using the CAT Scale Weigh My Truck mobile app, and never have to leave their truck. Discover all the ways WEX can help your fleet.